The Republican presidential front-runner Donald Trump's is presently under lot of criticism for his controversial remarks over Muslims after the California shootout. Now boxing legend Muhammad Ali has also joined the voice of many in the USA and has criticized Republican presidential Donald Trump's proposal to ban Muslims from entering into the country. He has called upon the Muslims to "to stand up to those who use Islam to advance their own personal agenda." 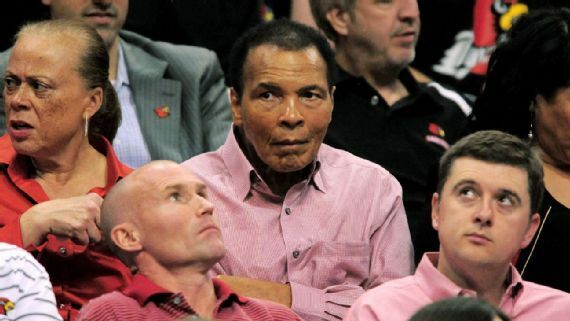 Muhammad Ali, one of the most famous Muslims in the world, issued a statement saying, "True Muslims know that the ruthless violence of so called Islamic Jihadists goes against the very tenets of our religion. I believe that our political leaders should use their position to bring understanding about the religion of Islam and clarify that these misguided murderers have perverted people's views on what Islam really is."